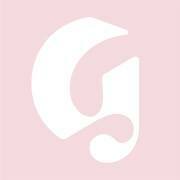 Glossier is seeking an office services coordinator to join our Office Services Team. The Office Services Coordinator works with the Facilities Manager & People team to support the overall smooth flowing of all office services. The coordinator will manage the reception desk on a shift schedule, welcome guests & greet people as well as coordinate front desk activities, including distributing correspondence & redirecting phone calls. Our ideal candidate will be able to manage multiple tasks & has a strong customer service approach with a pleasant personality & dynamic professional attitude. Various office responsibilities i.e. mail distribution, manage messengers to & from the office, setting up conference rooms, ensure reception is well maintained, etc.